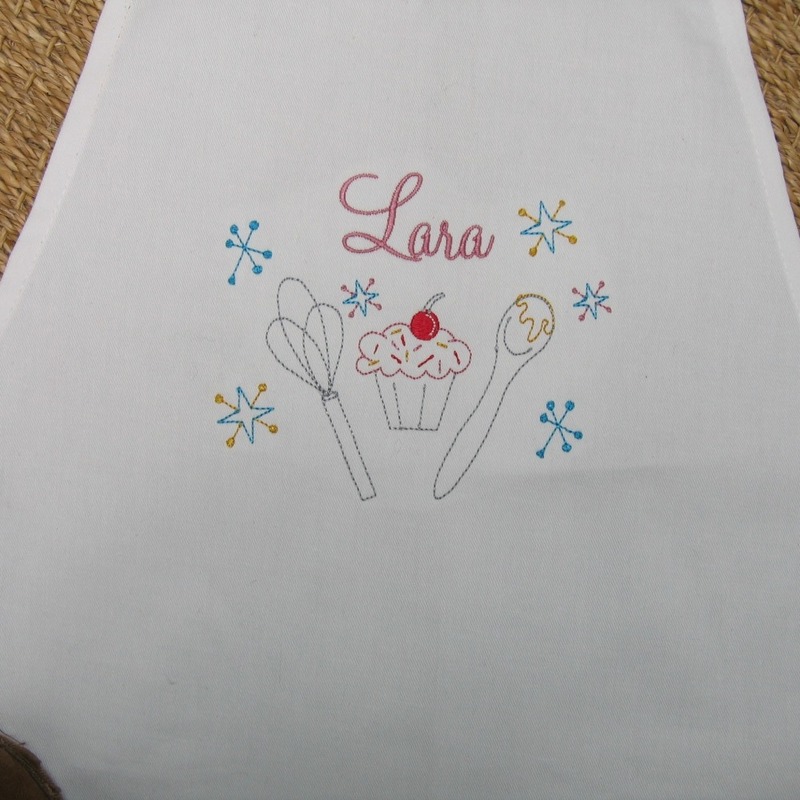 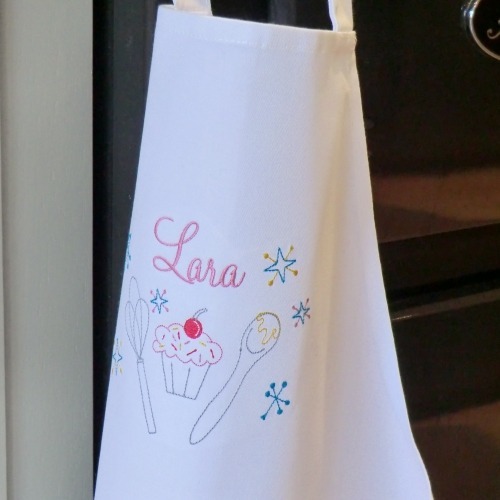 Gorgeous children's apron embroidered with a cup cake, whisk and a wooden spoon, exclusively designed by Big Stitch. 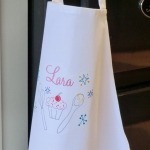 Each apron is also personalised with an embroidered name to make it a unique item. Choice of colours available for the embroidered name.